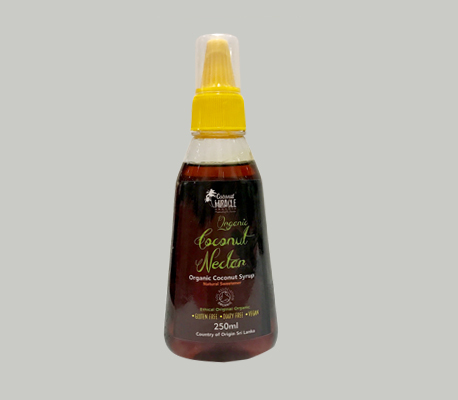 Coconut Miracle Organic Coconut Nectar is awesomely delicious light golden colour syrup as it has been gently crystallised making it a natural low GI mineral rich natural sweetener suitable for any age group. Healthy alternative in beverages, food, desserts or baked goods It is a healthy alternative over cereals, porridge or yogurt. Pour over ice-cream ...simply yummy It has a very low melting temperature with an extremely high burn temperature, making it perfect for confectionery and various baked foods. No sulphates, No chemicals, No colourings, No preservatives, No stabilisers, No flavourings, No GM ingredients, No cholesterol, No cane sugar, No palm sugar, No soya, No grain, No gluten, No dairy, No yeast. Suitable for vegetarians and vegans. Delicious Natural Nectar - Try it once! !